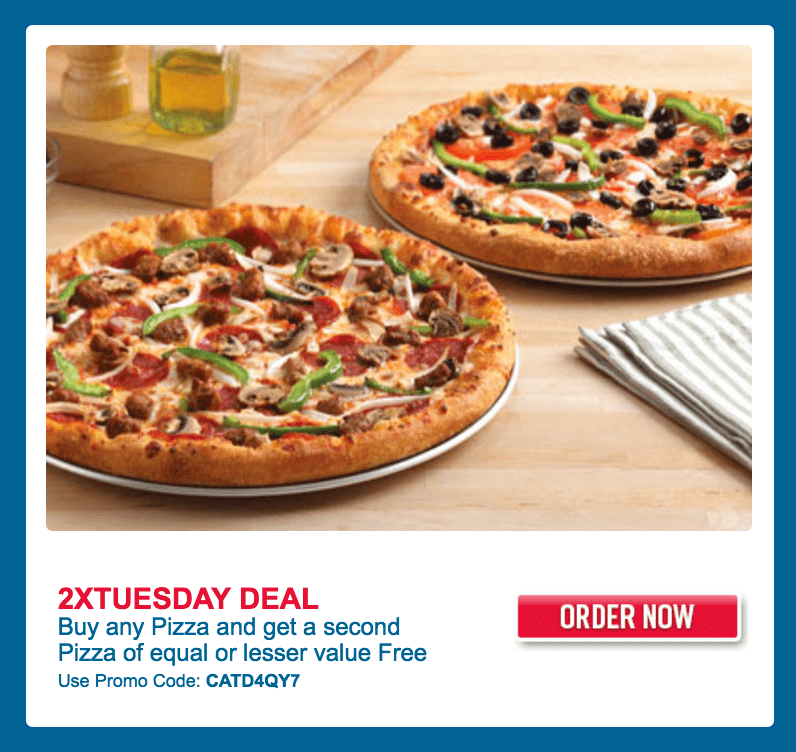 2X TUESDAY DEAL: Buy any Pizza and get a second Pizza of equal or lesser value FREE, using the Promo Code CATD4QY7. Valid today, Tuesday, January 31, 2018 only. Choose any Medium Feast Pizza for just $10.99. Upsize to large feast pizza for an extra $4. Click here to order online from Domino’s Pizza Canada.